A big thank you — to YOU! 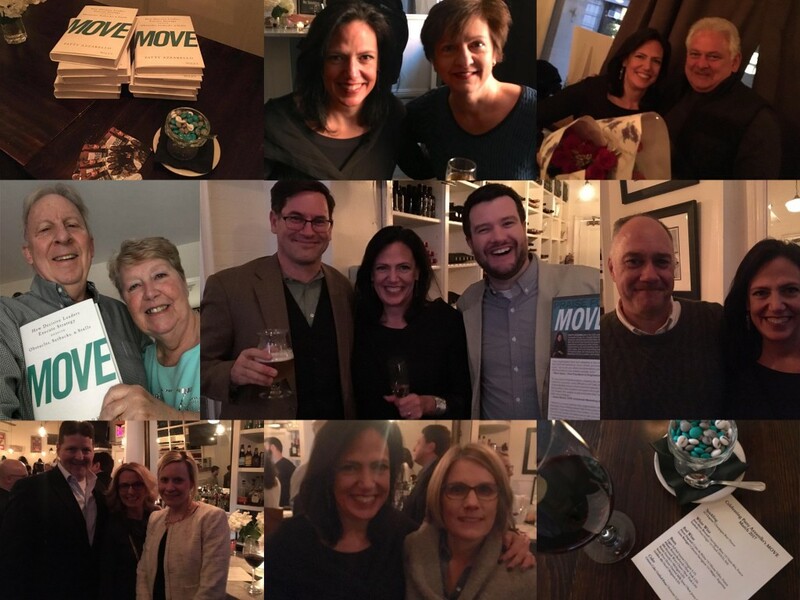 I want to thank everyone who helped make the launch of MOVE such a huge success! I also wanted to stop for a moment to fully appreciate this truly extraordinary experience for which I am enormously grateful, by sharing this short photo/video diary. In Italian I would say, “Sono grata” which is what Italians say to express a joy of your whole self and a deep gratitude that comes from the heart. 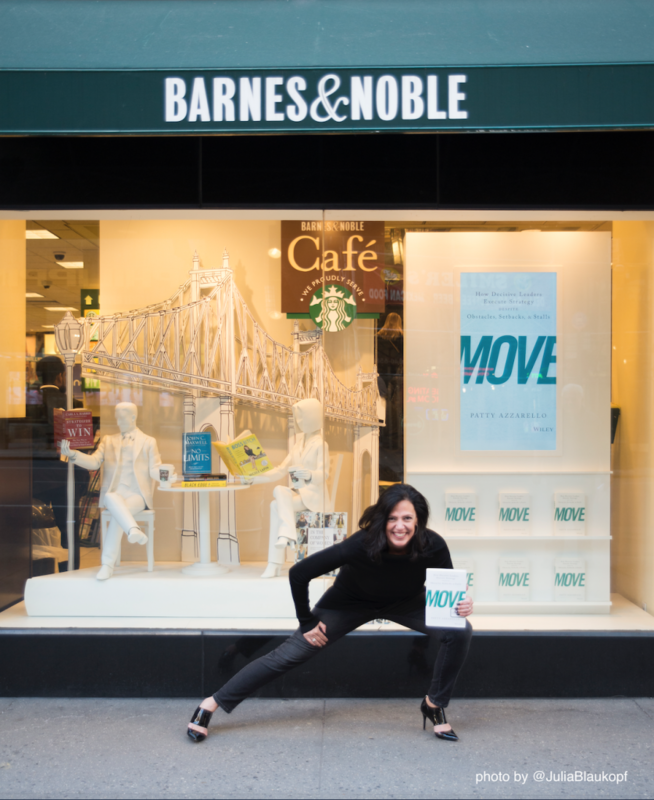 I had the incredible opportunity, thanks to my publisher Wiley, and Barnes and Noble in NYC, to have MOVE featured in the storefront of Barnes & Noble facing 5th avenue for 2 weeks! Speaking of things for which I am grateful, my long time friend and mentor Al Fasola not only flew in to join the party, but directed a photo shoot on 5th avenue, with the talented Julia Blaukopf. Barnes & Noble NYC, 5th Ave and 46th Street! 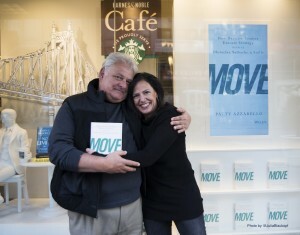 It was a bit surreal frankly, to be featured in a store front on 5th avenue in NY! 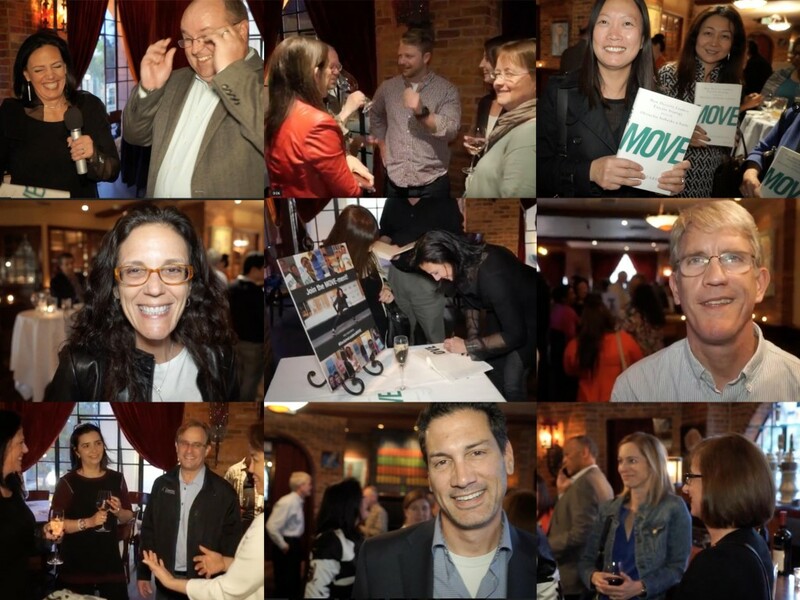 I’m really excited about what I got to share in MOVE to help business leaders create bigger success and feel more sane along the way. I talked about this in a live Facebook Broadcast right out on the street. 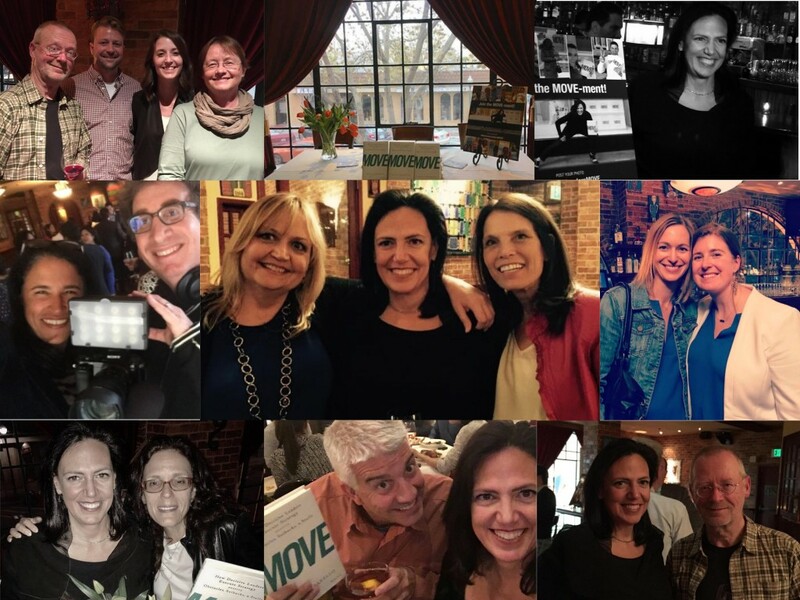 Thank you for all who tuned in and stopped by…and the crowd that spontaneously formed! 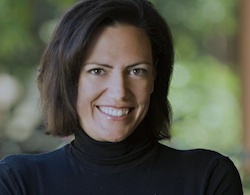 And a shout out to my big sister Kerry, who served as the camera man. Nice work! 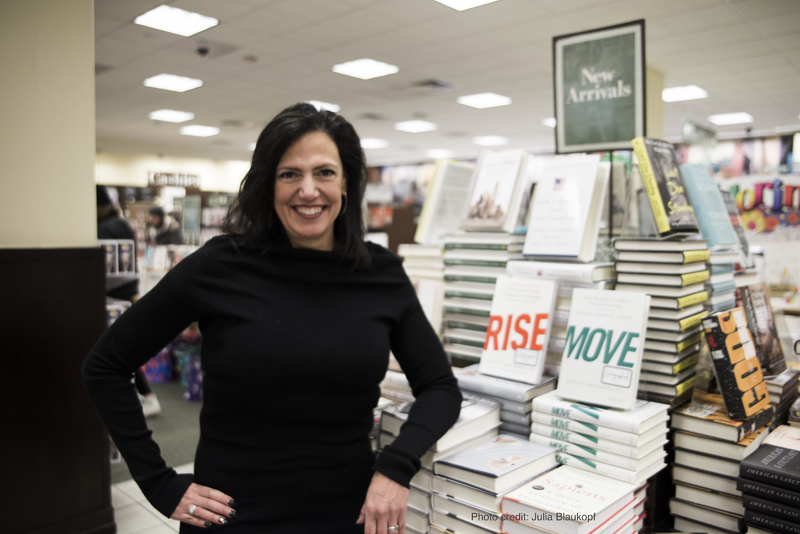 The Barnes & Noble staff were fantastic giving MOVE great featured in-store positioning throughout the store. There are a few signed copies left at the 46th street location! 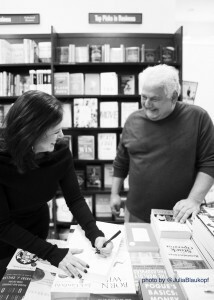 Then came the NY Launch Party at Estancia 460 in Tribeca. Many thanks to Katie, and the staff. It is a truly wonderful venue with incredible food and wine. There were people there from literally every decade of my life, including my 4th grade grammar school teacher and grammar school music teacher, and my friend Wendy who I have known since I was 4 years old! There were friends from high school and college, work friends and colleagues, and members of Azzarello Group who I had the chance to meet in person for the first time! The launch continued in California in San Mateo. 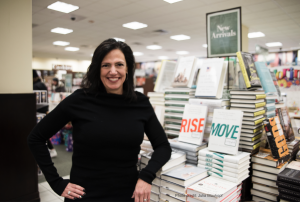 David Spark of Spark Media Solutions and a long time friend created this fun video: “What’s the best advice you ever got from Patty Azzarello”? There are some great bits of wisdome in here! Thank you everyone for playing along, and for the kind words. 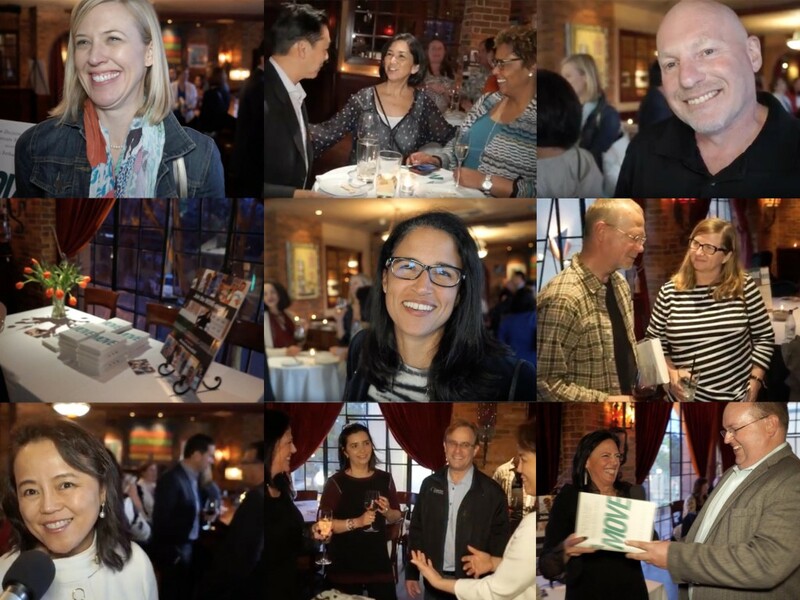 Long time friends and colleagues came out to help celebrate and again, I had a chance to meet members of Azzarello Group in person for the first time and get to learn about their experiences and breakthroughs that came applying my work. That’s why I do this! It was really wonderful to meet everybody. 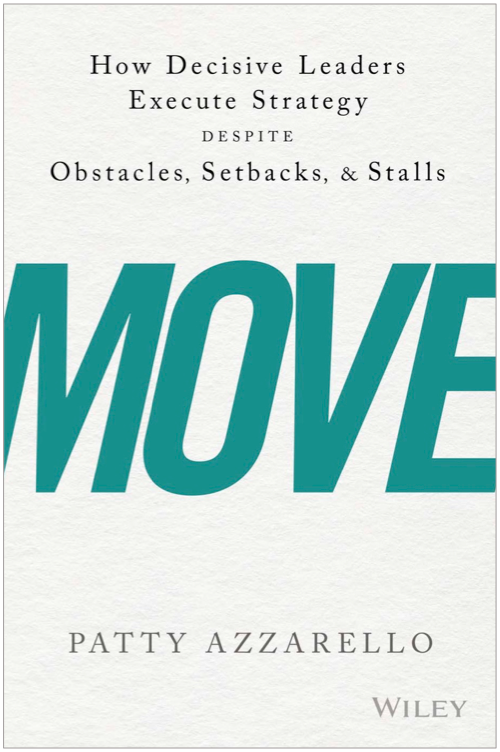 It would seem that we have created a MOVE-ment. 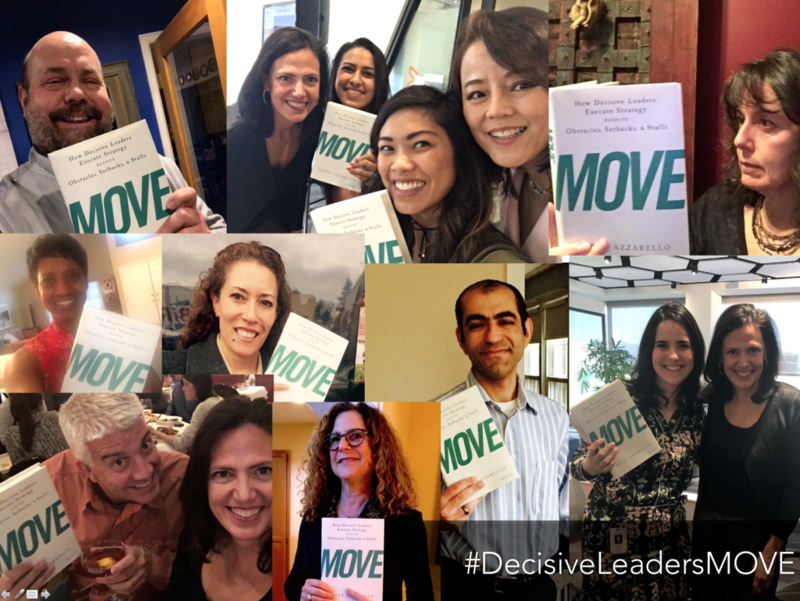 People from all over the world are posting selfies with the #DecisiveLeadersMOVE hash tag. Again, I am very grateful. And you can still join the MOVE-ment! 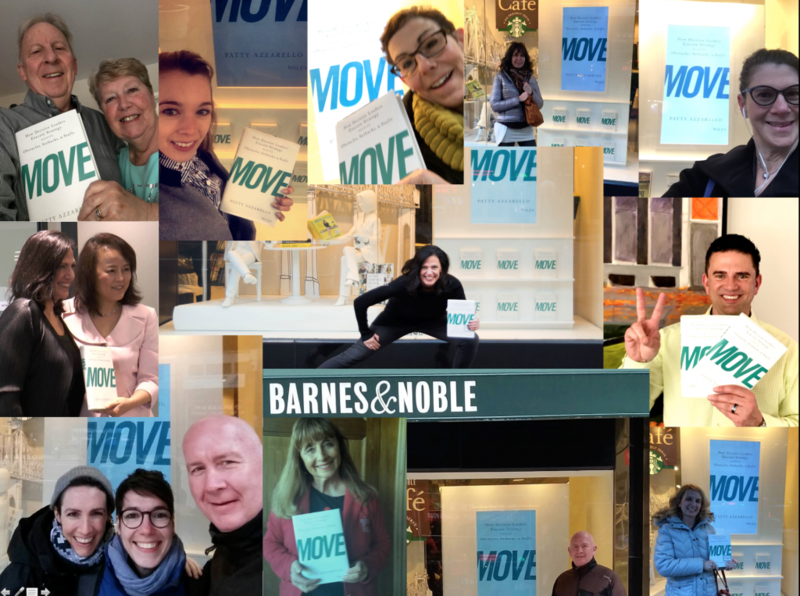 I’d love to see you photos with MOVE! 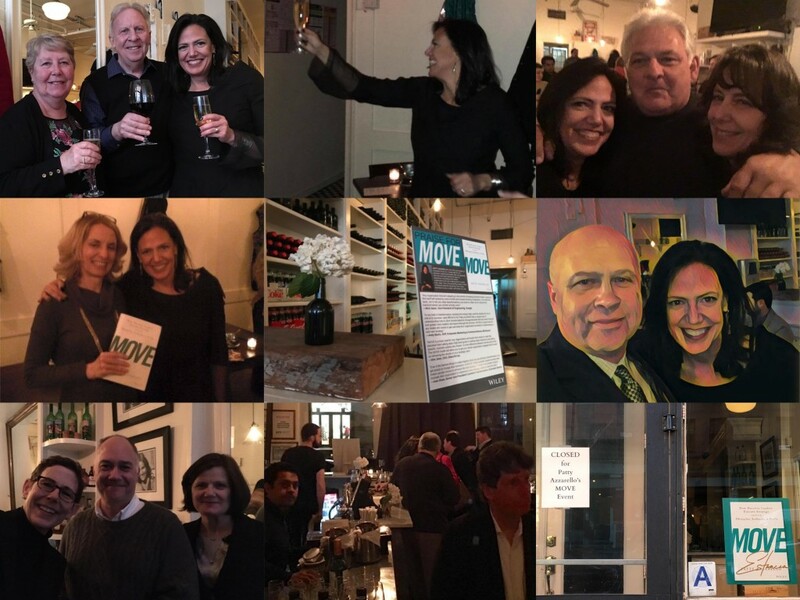 So again, a deep heartfelt thank you to everyone for the huge outpouring of support for MOVE. We hit 100 reviews on Amazon in the first month. The people at Wiley, and the people at Amazon were amazed. Join the conversation about this on my Facebook page Patty Azzarello Practical Business Advice for Humans. 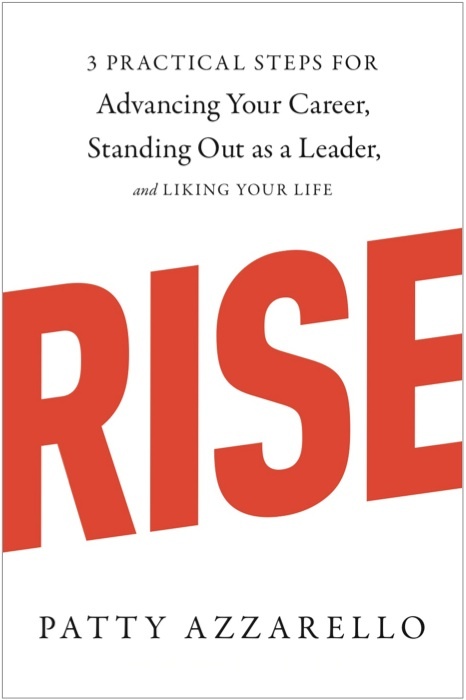 You can find Patty at www.AzzarelloGroup.com, follow her on twitter or Facebook, or read her books RISE and MOVE. Sometimes, the key to productivity is to stop thinking about it!